← A New Website – and Vision – for R.L. Craig Company, Inc. 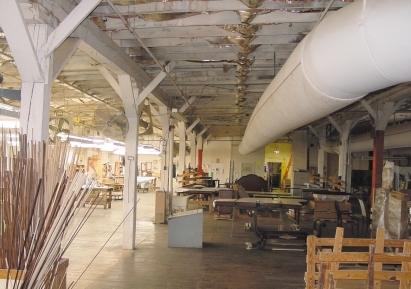 There are a lot of advantages in using fabric ductwork if you’re building a large commercial space or manufacturing facility. In terms of cost, labor-intensiveness, air dispersion, hygiene, and long-term maintenance, fabric ductwork is a hard choice to beat. It’s definitely something to keep on your radar if you’re setting up a cost-effective HVAC system that also helps you receive LEED credits for your business. Cloth is much, much cheaper than metal, especially if the cost of insulation, paint and diffusers is included. For an equivalent amount of fabric ductwork, you save anywhere from 10 – 50% than you would when purchasing standard metal ductwork, depending on many variables. Furthermore, installation is faster, easier and safer. When compared to metal, installation time can be 30 to 50% faster. Time is money. It is so easy, even a salesman can install it. Check out my video on YouTube. Certain applications require the ductwork to be cleaned periodically. Costs for cleaning metal ducts can be expensive and require the services of trained technicians. In contrast, to clean your fabric ductwork, unzip it and take it to the Laundromat. With the ability to disperse air at any customized point along its length, fabric ductwork can actually outperform metal ductwork in terms of efficiency. It looks great, will never rust, there is no paint to peel, it’s light weight, first cost is attractive and air dispersion in the space is excellent. What do you all say to that? Let us know what you think online, or better yet, email or call us here at R.L. Craig today! This entry was posted in ductwork, fabric ductwork, HVAC, LEED, Uncategorized. Bookmark the permalink.